India wants to procure the long-range missile systems to tighten its air defence mechanism, particularly along the nearly 4,000 km China-India border. Prime Minister Narendra Modi is scheduled to meet Russian President Vladimir Putin during an annual summit between the two countries in October and reports say that India is on course of finalising a mega defence deal before the big meeting between the two leaders. Negotiations between India and Russia over the nearly Rs 40,000 crore S-400 Triumf air defence missile system deal is in the final stage, official sources privy to the matter said. Reports said issues like final pricing of the deal and other logistic details have almost been finalised. Russia and India were eyeing inking of the contract before summit talks between Prime Minister Narendra Modi and Russian President Vladimir Putin which may take place either in September or October in India, PTI quoted sources, as saying. They said India was confident of finalising the mega deal with Moscow notwithstanding provisions of a US law that seeks to punish Russia for its alleged meddling in the American presidential election in 2016. Countering America's Adversaries Through Sanctions Act (CAATSA), which came into effect in January this year, mandates the Donald Trump administration to punish entities engaging in significant transaction with the defence or intelligence establishment of Russia. US Defence Secretary Jim Mattis last week appealed to the Congress to urgently provide India the national security waiver, saying imposing sanctions under CAATSA for the S-400 air defence missile deal would only hit the US. In 2016, India and Russia had signed an agreement on the 'Triumf' interceptor-based missile system which can destroy incoming hostile aircraft, missiles and even drones at ranges of up to 400 km. S-400 is known as Russia's most advanced long-range surface-to-air missile defence system. 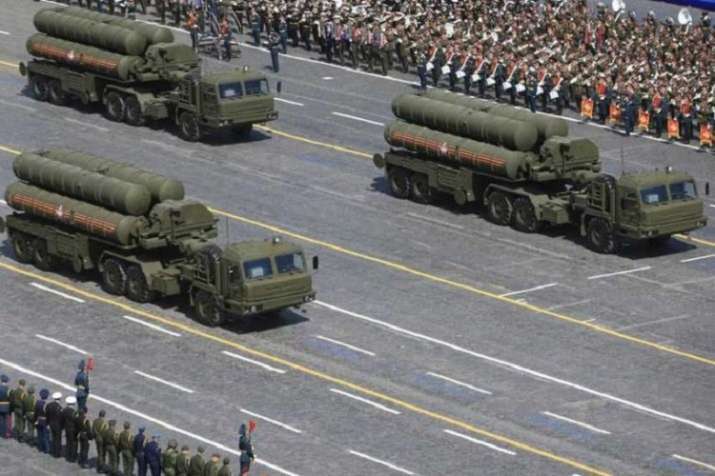 China was the first foreign buyer to seal a government-to-government deal with Russia in 2014 to procure the lethal missile system and Moscow has already started delivery of unknown number of the S-400 missile systems to China. Negotiators from India have been in talks with their Russian counterparts for over one and half years for the purchase of at least five systems of S-400 which are capable of firing three types of missiles. The S-400 is an upgraded version of the S-300 systems. The missile system is manufactured by Almaz-Antey and has been in service in Russia since 2007.